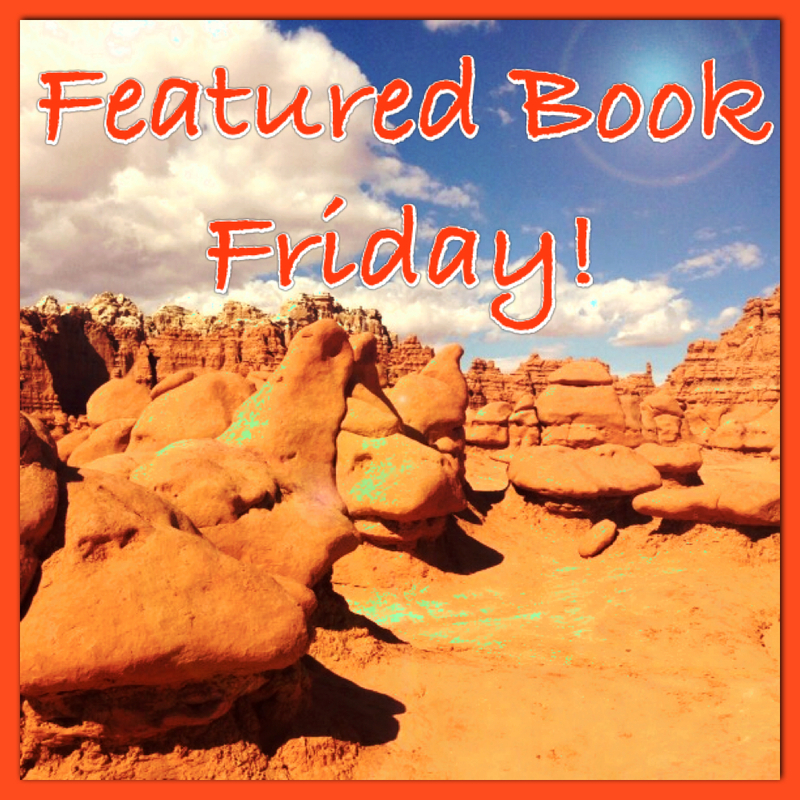 Here we go again with Featured Books Friday! Click here, here, or here for other great book blurbs I’ve had in the past. You are welcome to share—in the comment section of this blog—your name, book, purchase link, and a 500 word blurb or scene from your novel. You are welcomed and encouraged to share on your social media sites. It’s exciting to see that readers are introduced to books they would have normally not found otherwise. Laidan smiled over at Kort and took note how he dwarfed the Chinese. Despite his size, he looked graceful as he slowly circled his arms about his body. With eyes closed, he stepped forward and turned with both hands pushing forward as if to ward off an attacker. Then slowly he, along with the group, brought their fingertips toward the earth and circled their head with one hand while they took yet another step forward and balanced on the other foot. While Laidan watched Kort, she thought of his fighting skills and the success he’d had in Mixed Martial Arts. She wondered if it felt strange to him to be doing all of these moves in slow motion. From the look of peace she saw upon his brow, she decided that he was a natural, and that tai chi was an inner fight. The storm brewed inside as the external motions were peaceful and slow. As the fight for balance between body and mind came together, inner peace was found. For Laidan, it was a moment to connect with herself. As her mind relaxed, she felt again the calm within the storm. She thought of the night before, standing in the raging river, holding fast to Rafe as the water swirled about them. He calmed her. She realized he still probably didn’t know much about her, at least her biggest secret of being a musical icon, and she wanted to keep it that way. When she was around him, music felt different. It was as if the notes were brighter and the words she sang had more meaning. Now that Rafe had entered her mind, it proved hard to concentrate on the slow moves. She thought how when he’d kissed her forehead, it had been the most intimate kiss she had ever experienced. Her pulse began to race, and suddenly tai chi moved at a snail’s pace. She closed her eyes, hoping it would help calm her now-excited mind. She followed along with the instructor, but inside she was losing the battle for inner peace. Rafe brought so many new emotions. He threw her off-tilt and yet at the same time gave her balance. After their talk beside the river, Laidan realized how much they were alike. Both of them had been slaves to separate industries that had made them lose the love and passion found in their natural talents. One goddess. One guy. A love worth fighting for. All five books in the U.S. and International bestselling Goddess of Fire series are available for the first time! Join Kenina, Jack, and Sarah as they learn about life, love, and friendship in both the mortal world and a world ruled by gods. Perfect for fans of teen romance, fantasy lovers, and gift givers, the collection includes Burn, Smolder, Ignite, Inferno, and Fire and Ice. Three months have passed and Melina thought she was safe. Safe from the effects of the angel powers and safe from the Noxin demons. But she thought too soon. Just as she’s starting to enjoy her new powers and her new relationship with Lee, the slight pain she still experiences after using the powers starts to grow worse. As the pain becomes more and more unbearable, she finds herself lashing out at innocent people with unexplained anger and hatred. Then to make matters worse, she sees a Noxin demon again. No one, not even the elders, seems to know what’s happening to Melina, or how a Noxin demon found her. And when she’s introduced to Dean, another unique human like herself, she learns that his pain is completely gone, which only makes her situation even more confusing. Grasping for any type of answer, Melina throws out one possible explanation after another. But as her angry feelings intensify, and her angel powers grow weaker, she begins to think there might be something malevolent inside her that’s trying to take over. It’s not long before her internal struggle spirals out of control, and her body is turned into a battlefield that’s torn between good and evil. Melina fears that if no solution is found, then she might lose all the people she loves, especially Lee. But what scares her even more is that she might lose herself to evil. Melina released his hands and nodded again as she turned to gaze out the front windshield. “I’ll talk to him as soon as I…ʺ Her voice trailed off as she continued to stare out the window. “Is it the pain again?ʺ Lee asked. “No,” Melina replied, her face turning paler by the second. “A demon.” She continued to stare out the window, her body frozen stiff with fear. Melina’s eyes remained fixed out the window. The demon’s black, billowy figure wasn’t exclusive to his particular group, but the fiery red eyes were unmistakable. She gave him a stiff nod, but kept her gaze locked on the demon. Out of the corner of her eye she saw him looking out the window to see if he could spot the demon himself. “Where is he?ʺ Lee asked. A clean, medieval, Ya, Romance for the young at heart. An arrangement made when Elizabeth was just a babe ties her to someone she has never met, never spoken to, never loved. At seventeen she desires freedom—a way to choose her own path—her own husband. The moment Elizabeth meets Patrick she knows he is her soul mate. But when you are bound to a crown how is any choice your own? It’s real. It has to be. Twenty-two-year-old college student Emma Matthews gained too much ground last year for it all to be a dream. She has an engagement ring on her finger to prove it. Not to mention an internship she’s made for. After a summer of overcoming her fears, Emma can’t afford for the news she just received to shake her. Not when it might jeopardize her future with Riley. And not when the kids in downtown Portland are counting on her to keep the center’s doors open. With the added strain of a broken relationship and an unexpected friendship reminding her what’s at stake, what other choice does she have? But as mounting danger compromises her safety, friction intensifies until the risk of keeping her promise threatens all she’s fought to believe. Caught in a moment when every light in her life goes out, Emma must find the courage to lead her heart no matter what it costs her. Falling in love is as easy as falling asleep. Holding on to that love is like trying to hold on to a dream. Even when it feels more real than life. Join Emma in this inspiring story about real love, costly choices, and the courage to fight for what you believe in. Read Book 1 in a new series of Christian mysteries featuring CIA intelligence officer, Titus Ray. The carriage gained speed under the skillful hand of whoever now sat in the driver’s seat. He should have jumped when he had the chance. Jackal shook his head as he calculated the odds of survival. This isn’t your average, dull tour book! Loaded with stories and anecdotes, Mediterranean Cruise With The Cruise Addict’s Wife will have you laughing out loud, as you reach for a highlighter to begin planning your own European odyssey I have been on dozens of cruises—they don’t call me The Cruise Addict’s Wife for nothing!— but had never been to Europe. When a group of twelve friends decided to go on a Mediterranean cruise, planning hit high gear! I studied tour books and cruise books and multiple web sites, I read hundreds of reviews, I learned about each city, and each port. And I found myself baffled. Why wasn’t the information I craved all in one spot? What I really wanted to know was how real people actually did the cruise planning. I wanted to know where did they go, and what did they do, and what did they like, what did they wish that they had done differently? What did they learn along the way, what did they enjoy the most, what do they wish they had not wasted time on? What I really wanted was to have a conversation with a whole bunch of people. That’s it, I wanted a think tank of other cruisers, and I couldn’t find one. As we planned,and began the epic journey, I took copious notes. I took notes on tours, on ports, on sites we saw and those we skipped, on ways to save money, on first impressions of the marvelous sites we saw. After all that planning, I’m absolutely certain we saw and did more on that trip than anyone else on the cruise. Come along—“Mediterranean Cruise With The Cruise Addict’s Wife” is almost like being there! Read about how we booked private, personalized tours that saved 30%-60% daily. Learn how you can make your own trip (anywhere!) your own. In three parts, “Mediterranean Cruise With The Cruise Addict’s Wife” is a free flowing, easy read book loaded with information you need, whether you are planning a cruise or in dreaming-about-Someday stage. Part One is the planning stage, Part Two is written day by day, as if you were along with us, and Part Three is the nuts-and-bolts of tours. Part tour guide, part story, this book is laced with insights to help you make the most of your own Mediterranean cruise. Along the way, you’ll enjoy the humorous stories as the Cruise Addict takes on ten ports on one amazing vacation! This is the blurb for Millicent, book one in the Southern Hearts Series. Each book in the series is on sale for 99 cents until June 14th! Also available at B&N, Kobo Books, Smashwords, and ITunes. What a difference a few letters can make. Millicent Jane Beaumont, southern belle and daughter of a wealthy plantation owner, is turning eighteen. After planning the birthday party of the century, all she wants is for her best friend and pen pal, Stephenie Treen, to attend. But Stephenie never asks for an invitation and the party becomes an opportunity for locals and foreigners to seek Millicent’s hand in marriage. Stephen Green, southern gentleman and son of a wealthy plantation owner in South Carolina, has secretly been corresponding, under false pretenses, with a young lady in Louisiana. As her eighteen birthday approaches, Stephen acquires an invitation to the private party. But when Stephen arrives in New Orleans he meets another woman who intrigues his heart. Will he make it to the Beaumont Plantation and meet Millicent or will this new lady draw him away? Reeling from professional failure, Andrew Harris needs a fresh start. When he moves back to Colorado to join a Denver law firm, he runs into Jamie, his childhood sweetheart. She is still the kind and faithful girl he remembers—not to mention beautiful and still single. With her by his side, Andrew is confident he can overcome the demons he tries to keep hidden. 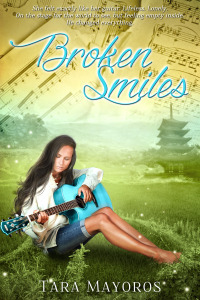 Jamie Carson is thrown off balance when Andy resurfaces in her life. He fills her days, whispering significance to her heart and offering a reprieve from loneliness. But his rejection of the faith she thought they’d once shared, and his alarming drinking habit keep her heart from plunging into deep, murky waters. Or do they? Excerpted from Gabriel’s Daughters by Janet Kay Jensen. Copyright © 2015 by Janet Kay Jensen. Excerpted by permission of Jolly Fish Press, LLC. All rights reserved. No part of this excerpt may be reproduced or reprinted without permission in writing from the publisher. Honest And For True, a not-quite-chicklit story because Lee is the Anti-Chick. 🙂 I’ve got a special this week for $.99 in all ebook formats. When Seventeen year old Winter Merrill was compelled to make a bargain with the mysterious Secret Keeper, she knew there were rules. The most important one, the next time you have a secret, you will not be able to tell it….even if you try. What she didn’t know is that her next secret if not told, would destroy her life and the life of Liam, the only boy she ever loved. Can Winter find a way out of the dark bargain that binds her tongue or will her deal with the Secret Keeper bring devastating consequences unimaginable even to her? Her paperwork processed, she hurried out of the terminal into the late afternoon heat. Spotting a red hatchback along the row of cars, she clicked the key and—nothing. She tried again, with the same result. Huffing, she stabilised her luggage trolley against the boot of the car, threw her handbag onto the roof and tried once more. No good. Her key must be faulty. Unwilling to troop inside and join the back of the queue to complain, she pulled the manual key out of its casing and pushed it into the lock—where it firmly stuck. As she impatiently shoved hair out of her eyes, she heard an ominously familiar voice. Her heart sinking, Laura turned to see Daniel Stone leaning casually against the car next to hers, tall and imposing, his arms folded across his chest. It made her inexplicably cross that he appeared so cool and in control, his light cotton shirt and khaki trousers clean and unwrinkled. Acutely aware of her own smudged face, unruly hair, and the heat causing her tee-shirt to cling uncomfortably to her body, she felt at a distinct disadvantage. With an effort, she jerked herself back to the task at hand. Her appearance was the least of her worries, and why she should care what she looked like when she would never set eyes on this man again was beyond her. By nature, she was calm and collected too. “Or you’ve got the wrong car?” he suggested mildly. “Apart from that one down there, perhaps?” He pointed down to the far end, and when Laura stepped back a few paces to see right to the end of the row, sure enough, there was another red car hidden beyond a van. “But I checked the licence plate!” she declared, already doubting herself as she glanced down at her papers. With something bordering on despair, she realised that in her hurry, she hadn’t checked properly. This was so unlike her! Furious with herself, she walked back to the car door and pulled at the key, but it was stuck fast. Laura closed her eyes in exasperation. Of course it was. Belonging – The second stand-alone book in the “What a Difference a Year Makes” series. Christian fiction. Shelly never saw the need for companionship outside of her father and Professor Yates. Now her father is gone and Professor Yates is pushing her to step out her front door, out of her comfort zone. Then there’s Jay. His comfort zone includes the entire universe and he is bound and determined to drag Shelly along with him. In honor of her father’s memory, Shelly picks up one of their old pastimes, genealogy. She figures it would be nice to know where she came from. It would be nice to belong. What would it feel like to belong? Everyone seems to have a place in the world where they belong. Except Shelly. “Wait,” she called as he headed through the trees and up an incline. Anna stuck her tongue out at him and pushed some hair out of her face. After a few strides up the hill, she put her hands on her hips and stopped. “This adventure was fun until now,” she said, straining her eyes to see what could possibly be at the top. When she saw the rocks jutting from the side of the ascending ground, she knew they must be the ones he had mentioned climbing. “I’m assuming you’re going to make me climb those,” she said, pointing up. He walked back to where she was standing and said, “Just trust me—you’ll like it at the top.” He held out a hand. Griffin placed a hand gently on her back and pushed her toward an area where the huge rocks staggered like steps. “No,” he answered, “we’re going to do this like we do the ladder at work.” He positioned himself behind her. Anna had never minded their closeness when he helped her up the insecure ladder at work, and had hardly ever noticed it. She was usually focused on not falling off, but something was different now. Although the sun warmed the air, it was the heat from his body next to hers that scorched her, and even though the wind blew softly, his breath swept chills down her neck. Griffin’s voice in her ear broke through her thoughts. “Are you going?” Then he took the water bottle out of her hand and shoved it in his pocket as she turned slightly toward him. “Oh… yeah… sorry,” she said, looking for a place to put her hands. The first few feet were easy, but then Anna paused every few seconds to study the rocks and determine what to grip next and where to place her feet. She knew her progression up the rocks was painstaking, but Griffin stayed right behind her, following wherever she went. His long arm stretched above her as he waited for her to move, and his free hand rested on her waist as if guiding her. Thankful he couldn’t see her smile, Anna wondered if he was enjoying their closeness as much as she. “Yeah, maybe,” she said, feeling like an idiot as she realized his only thought during their climb had apparently been her lack of self-sufficiency. My heart sank. It was India’s caption and anyone who read it would think what a close‑knit group of friends and not realize anyone was missing from that photo. Sure, I was in another state, so naturally I couldn’t be there for it, but the way India wrote that made me feel so left out. I mean, what did she mean by the “ʺThree’s Company”ʺ hashtag? And sometimes people tagged friends who weren’t there in pictures and added, “ʺWish you werehere,”ʺ but there was no mention of a fourth member of the group. Detective Bailey pulled another envelope from his jacket pocket, drew out a sheet of paper and unfolded that. It was a color printout. He hesitated. “It’s not a hard picture to look at, but he’s dead, in it. Just so you know.” He held the picture out for her. Alyssha took a deep breath, looked, closed her eyes, and swallowed. Bailey waited. Maru Adda had been kind to her when she’d needed kindness. She felt tears begin and willed them back. Now he’ll ask me where Maru Adda was from, how I met him. She glanced at her father and knew he was thinking the same thing. And what could she answer? That six years ago today she’d gone into a hole in the wall under the Verdun Street Bridge and visited another universe? Read my story. Read my memoir. Determined and courageous, I tell it. I don’t think it will be amusing. I am seldom amusing. I hope you will find it instructive. It is a true story based on intimate knowledge and personal observation. I pray someone may find a measure of peace, a balm of healing, and an understanding of the blessings of survival through reading Life Soup. Why did I name my book Life Soup – A Memoir? I don’t see my life as linear. You know how the teacher told you to create a timeline of your life in middle school, one event following another on a straight line, each in exactly the right place chronologically? Well, my life seems more like a soup. It is comprised of memories, broken pieces of memories, life experiences like ingredients in a soup. All my memories and experiences have gone into the soup throughout my life. Once a memory or an experience/ingredient is in the soup, it remains there for a lifetime. Sometimes an experience will drop deep into the soup, not to resurface, be remembered, or touch the other ingredients for years. Sometimes an incomplete memory will float to the top of the soup, disconnected to other events until connections are brought to light. One day a new experience is added to the soup, and working much like a large ladle, stirring everything up, reaches even those ingredients or memories buried in the deepest parts of the soup pot. Now with the stirring, (Some psychologists call it triggering. ), the impact is enormous on the soup’s flavor. Understand though, that even when these ingredients or memories were buried deep in the soup, they always had an impact on the flavor, whether I knew it consciously or not. They impacted everything, my attitudes, my emotional responses to the world around me, and my behavior choices. To savor my life soup with all its flavors and come to feel satisfied, nourished, and fulfilled is a life goal. I understand that to truly heal, and really enjoy the flavors and essence of my own soup, I must remember that each and every ingredient is powerful. My inner child was lost in the deepest parts of my soup. Finding her, knowing her, accepting and loving her, has been my crusade. Life Soup tells the story of this crusade.